MSDSonline has an interest in all things Environmental, Health and Safety. Today’s podcast is focused on the Health aspect of EH&S. As you probably know, OSHA has been working on developing an Injury and Illness Prevention Program (I2P2), to encourage employers to take a proactive role in preventing employee injury or illness. I2P2 is mostly targeting those workplace hazards that can cause immediate harm. However, in our interview with Bernie LeCocq, owner of River North Gym (RNG), in Chicago’s Loop, we learn that employees (especially office workers) may have a bigger and less obvious threat to their health. In this podcast, Bernie lays out the 4 main areas of the body every person should be working on as part of their core exercise routine, as well as three or four exercises workers can do at their desks to improve flexibility and release pressure on affected body parts, like the lower back. 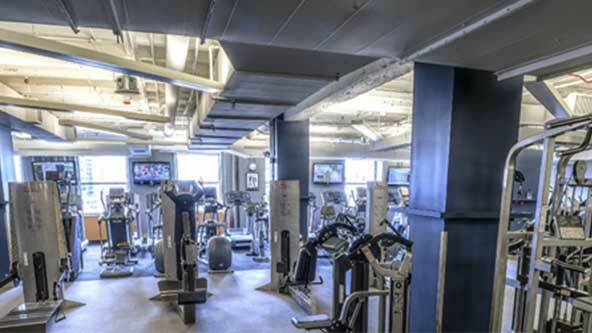 River North Gym is located in the Merchandise Mart, one of downtown Chicago’s historic addresses, as well as one of the largest offices spaces in the world. Bernie is a long time fitness expert with a passion for educating people and training other fitness instructors about ways they can get active and combat the fitness challenges of the modern man or woman. Full disclosure, MSDSonline was the company of the month at RNG in February, giving every employee a chance to work out at the gym for the month free of charge. As part of our introduction to the gym, Bernie stopped by to give us a presentation of the evolution of fitness and tips for getting in shape. One of the things Bernie said that really hit home for a lot of us was the way in which modern workers are playing musical chairs – sitting their way through the day. And for a great infographic on the subject, check out Sitting is Killing You at howtogeek.com. Again, the spirit of I2P2 is not intended to make employers responsible for ensuring workers get enough exercise. However, based on available evidence, maybe it’s not such a crazy idea after all. EH&S Blog Health & Safety Sitting is Killing You – Get to the Gym!